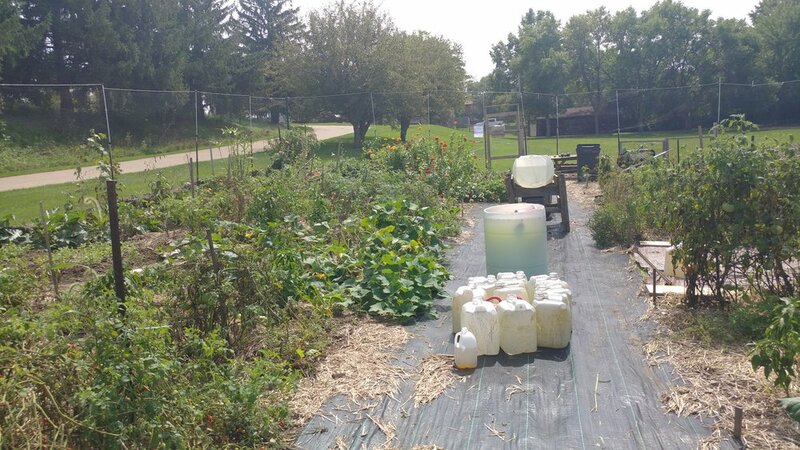 Community gardens are part of the sharing economy. 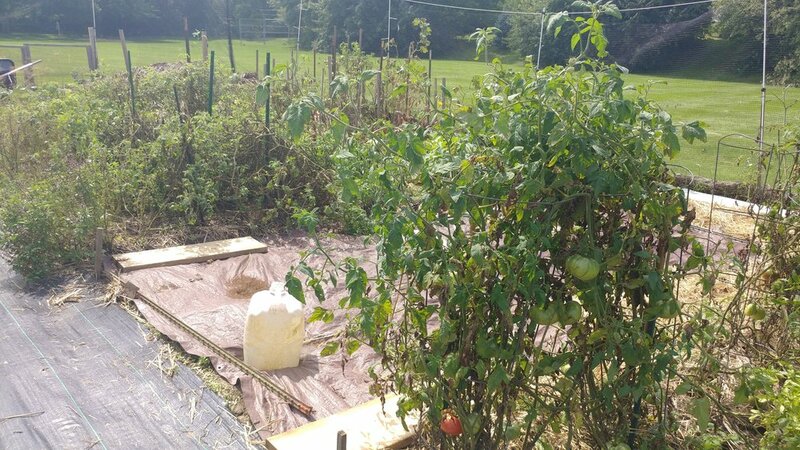 They make it possible for many people to enjoy a resource – in this case, land for gardening – that they couldn’t afford on their own. 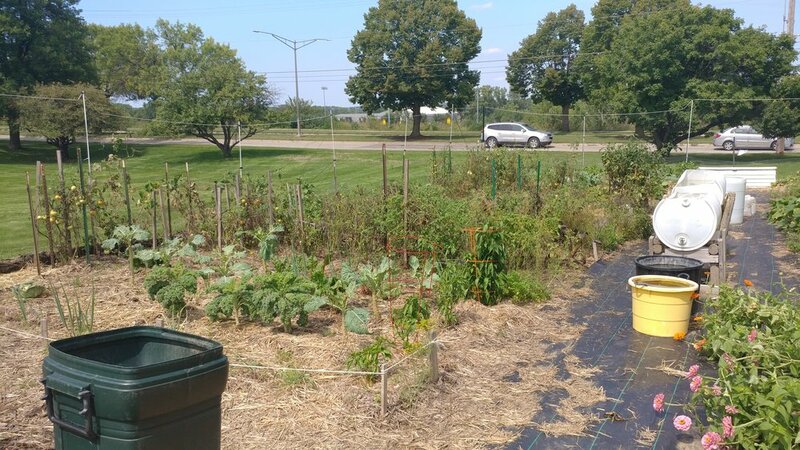 However, it’s not just the gardeners themselves who gain from community gardens – the benefits extend to the rest of the neighborhood and even to society as a whole. 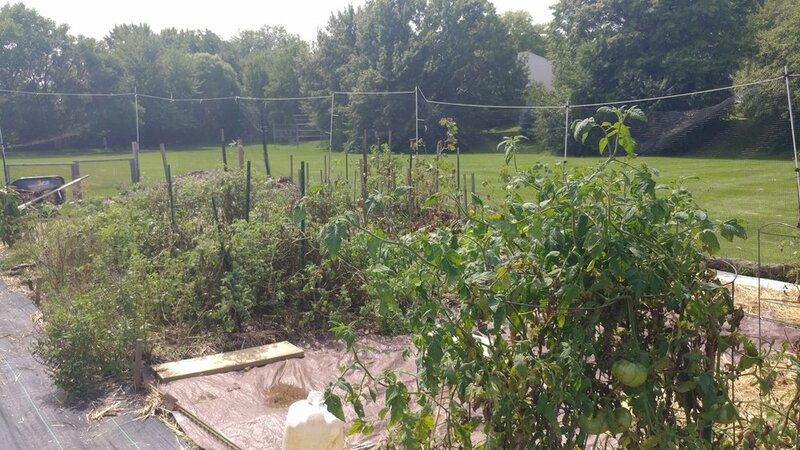 This is why Christ the King decided to put a community garden in our very own King Park. We wanted a way for our church community to be a part of our larger neighborhood and the Southwestern Iowa City community. 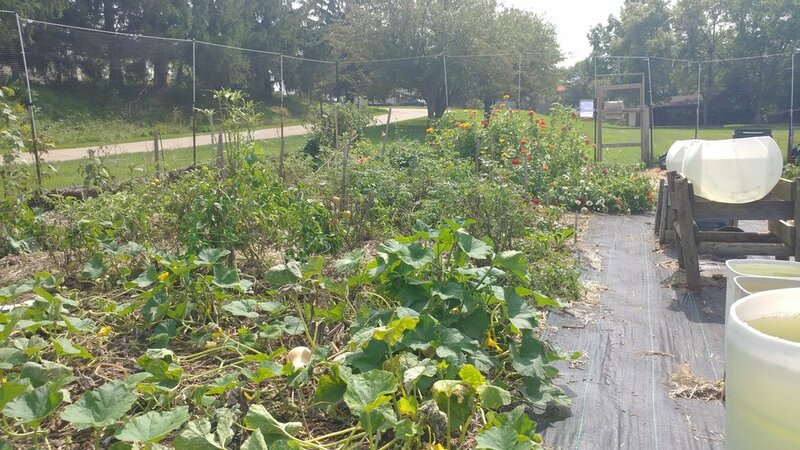 Our garden is open during the 'gardening season', so if you would like to get involved, please contact the office for more information and to sign up for your own garden! 2017-2018 was our second year for the Horn Elementary School Backpack Program. Plastic bags are filled with shelf stable food for students who have been identified by the school staff as being food insecure. The food is provided by HACAP in Hiawatha, IA and then stored in locked cabinets at the church. Meals may included cereal, juice, milk, fruit cups, a microwave meal, cheese and crackers or granola bars. We do not always receive the same items each time. Last school year, we served 26 students. The bags are filled once every two weeks with fresh items being added the day of delivery. If you would like to help, you can sign up online to donate items or to help fill bags through the sign up genius. While many children celebrate the end of the school year and look forward to a summer full of fun activities, it can be a very difficult time in the lives of children experiencing poverty. 4,000 children in Johnson County are food insecure, and may not have even one guaranteed meal each day. This is the equivalent of roughly eight elementary schools in Johnson County being filled exclusively with children experiencing food insecurity. Unfortunately, donations to The Crisis Center Food Bank slow down during the summer, but your annual participation helps stock Food Bank shelves and meet great need each year. There are tons of other ways in which you can get involved with the Johnson County Crisis Center. If you go to www.jccrisiscenter.org website, you will see other ways to volunteer, as they can also use people to come to the center to help. Christ the King does a lot more food drives than just 'Thanksgiving in July' for the Crisis Center, and we are always looking for other ways to be involved! “God’s work. Our Hands.” Sunday is an opportunity to celebrate who we are as the Evangelical Lutheran Church in America (ELCA) – one church, freed in Christ to serve and love our neighbor. The idea for “God’s work, Our Hands.” Sunday is this: ELCA members are called to put their faith into action by engaging in service activities in their neighborhood, surrounding community or designated area. 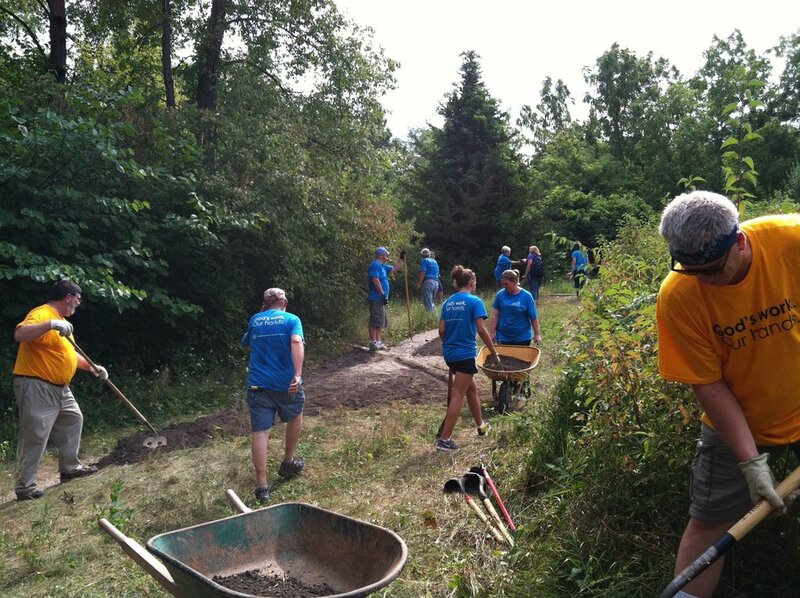 While service opportunities are endless, ELCA members and congregations are invited to identify service projects that make sense for their local context and the congregation’s service capacity. In other words, the idea is to deepen a congregation’s and/or member’s experience in their community and offer some way for congregations to play a critical part in addressing community needs. The Free Lunch Program (FLP) is one of the quiet services in the Iowa City area. It began in January 1983 when two therapists from the Community Mental Health Center, wishing to address the concerns of their clients, spoke to a Lenten study group at St. Mary's Parish about the need for a free meal for the needy in the community. The response was, "Let's do it." By 1989, the Free Lunch Program had become a designated United Way agency and expanded to a 6-day-a-week meal program with over 35 different religious, student, neighborhood, and social groups providing the meals. FLP volunteers now number over 900. Volunteer teams prepare and serve nutritious meals using their own food or the food from local restaurants, grocery stores, and food distributors via Table to Table Food Rescue Organization, and from items in the Free Lunch pantry obtained through the HACAP Food Reservoir. A book is a gift you can open again and again. Give yourself the gift of action, adventure, mystery, and romance while giving the gift of a brighter future and a place to call home for people experiencing homelessness. Proceeds of the book sale benefit Shelter House programs and support services including housing, employment, and mental health that help hundreds of men, women, and children each year to get back on their feet. Christ the King collects books year round to be dropped off during this book sale which usually happens in March.